In our last post we talked about the characteristics of narcissistic personality disorder (NPD) and we described some coping strategies that may help to make life with a narcissist bearable. But if it all gets too much, you may feel ending the relationship is the only way out. If you are legally married, that means divorce. Be prepared. If life with the narcissist was hard, breaking away may be next to impossible. They will not want to let you go; after all, denigrating you bolsters their ego. More importantly, the act of being rejected by you provides the opportunity for a tremendous show of victimisation and a chance to show the world what a terrible person you are. Hang on to your identity and your self-worth, finding an alternative support network and other ways to reinforce your own value, so you don’t succumb to the inevitable condemnation of you. Be reasonable and don’t fall into the trap of responding emotionally. At the same time, keep copies of everything, especially expenses. Remember that narcissists are adept liars, so you need to have firm evidence for all your assertions and claims. Be very clear about your priorities. Make a list of the outcomes that really matter and stick to them. The narcissist may try to entangle you in fights over petty details to derail you. Don’t let them. This may mean being prepared to give way on trivial issues – lose a few battles in order to win the war. Try to put yourself in their shoes. 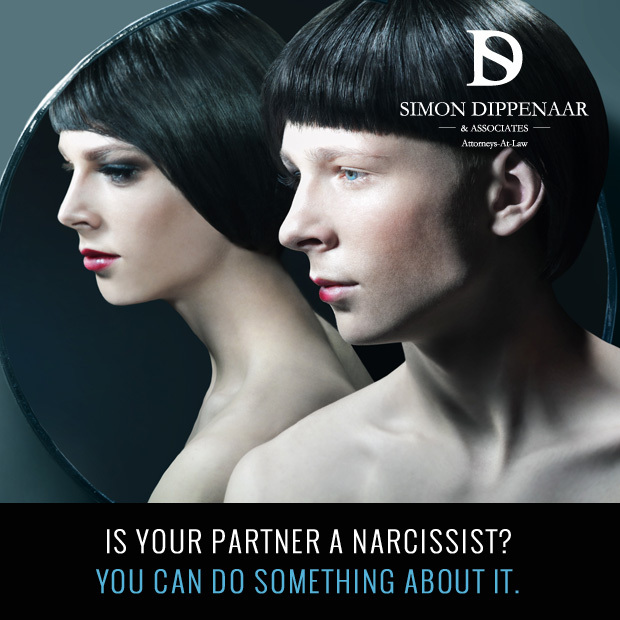 Think like a narcissist (or simply like the partner you know). How are they likely to respond to certain requests? What might their tactics be? If you can anticipate their behaviour, you might be able to pre-empt it. At the very least you will be prepared and able to deal with it. Choose a divorce attorney who displays emotional intelligence and sensitivity. This is not the occasion for the “pit bull lawyer” out to destroy the opposition. This approach will only ramp up the adrenalin on both sides and make settlement even more difficult. Negotiating with a narcissist is frustrating at the best of times; you need your representative to be hypersensitive to the strategies your partner may deploy and have the resourcefulness to disarm them. If there are children involved the situation is even more complex. Children are often used as pawns by narcissists to manipulate the partner; or they are fed negative information and impressions designed to turn them against the other parent. Unless the narcissistic partner is a threat to the children, it is likely that you will have to continue to have links even after divorce. Navigating this relationship and learning to co-parent with a narcissist will be the subject of our next blog. If you would like to receive an alert when it is published, click here. SD Law & Associates are experts in divorce and family law and have dealt with many cases of narcissistic control in intimate relationships. If you are married to someone with NPD and considering divorce, or just want to discuss your options, we can guide you through the process with compassion and dignity. Contact us on 086 099 5146 or 076 116 0623. Or email sdippenaar@sdlaw.co.za. If you need help determining whether you are in a relationship with a narcissist click here. This entry was posted in Narcissist and tagged abuse, divorce, domestic violence, narcissism, narcissist. Bookmark the permalink.